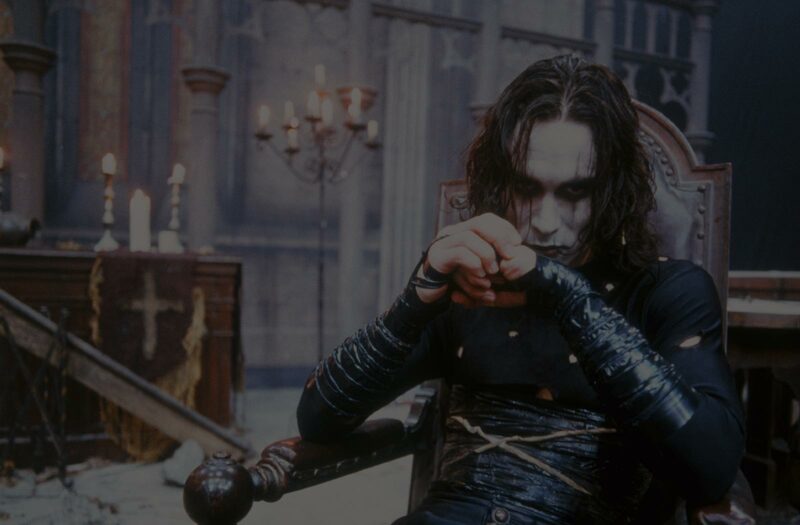 Brandon Lee plays Eric Draven, a young rock guitarist who, along with his fiancé, is brutally killed by a ruthless gang of criminals. Exactly one year after his death, Eric returns—watched over by a hypnotic crow—to seek revenge, battling the evil crime lord and his band of thugs, who must answer for their crimes. Based on the graphic novel by James O’Barr. 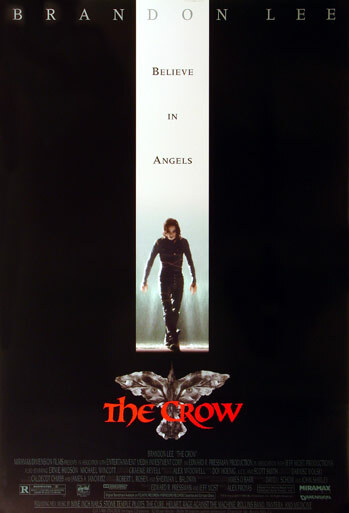 It began with The Crow, released in May 1994:... flies high... a seamless, pulsating, dazzling visual revenge fantasy that stands as one of the most effect live-actioners ever derived from a comic strip.